Ministry of Higher Education and Scientific Research (MoHESR) will have the capacity to plan, facilitate and follow-up “participatory policy development” using Future Search as an instrument, and will have initiated the development of policies for the higher education sector. Our approach is to first train a small group of facilitators in the Future Search approach. They will experience a Future Search themselves by going through a simulation of a Future Search conference and learning about crucial facilitation skills. 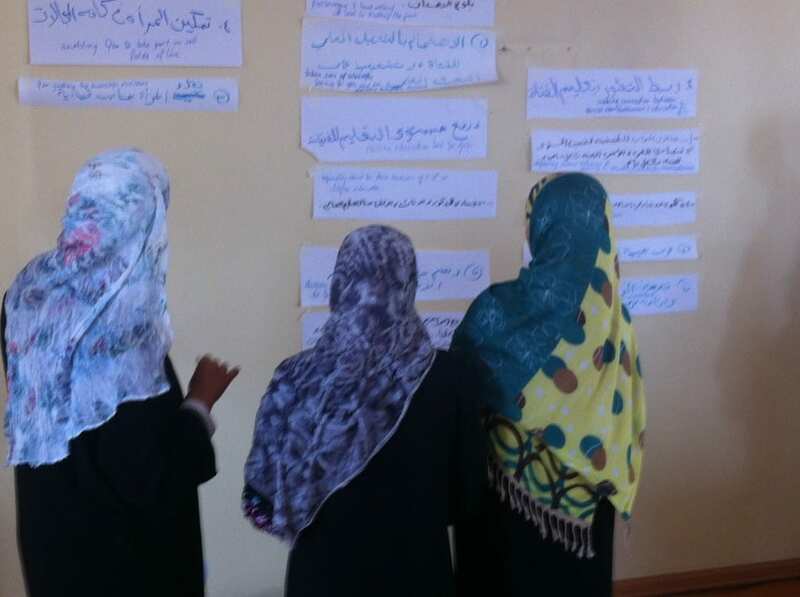 These participants will all be involved in preparing, organizing and facilitation of a Future Search around gender policy development in Higher Education in Yemen. During this process they will be coached and guided by Perspectivity facilitators. When they have gained this experience they will have the capacity and confidence to facilitate other (policy) development processes. The project started in January 2014 (see news), the real Future Search on gender policy development will take place in May and follow-up activities will happen during the second part of 2014.